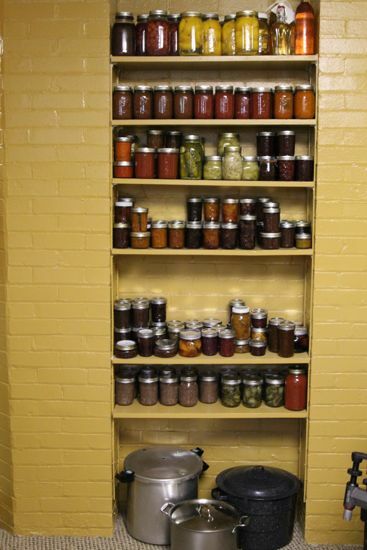 It’s almost over, the canning year. 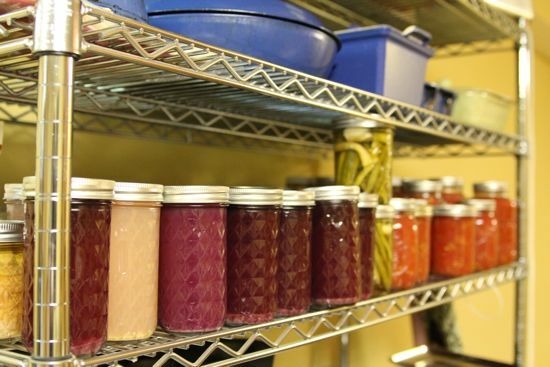 Not that canning stock, making booze, and other preserving projects won’t continue, but the larder shelves are full. There are jars covering the dining room table. I’m measuring the space under the guest room bed. There’s just no more room. At least that’s what I was saying until I saw this ketchup recipe. And it is Ian Knauer‘s recipe, too. In my beloved Gourmet Magazine, Ian Knauer’s recipes and articles always delighted me. He once had lunch with my friend Janet in Tepoztlan, Mexico, so I feel very familiar – on a first name basis, even, with Ian. Food52 recently highlighted Ian’s “Genius” ribs – the photo alone made me crave ribs for days. Because this was Ian’s recipe, I immediately trusted it, and began clattering through all the cupboards and recesses of the refrigerator for a counter full of additions to add to a pot full of tomatoes. Capers were a surprise, and I’ll admit I hesitated, but in the final product add something exquisitely salty, briny and subtle. The last of the tomatoes, a brief bit of chopping and stirring, and an afternoon filled with the most tantalizing smells. Tomato-y, spicy, rich, ketchup. 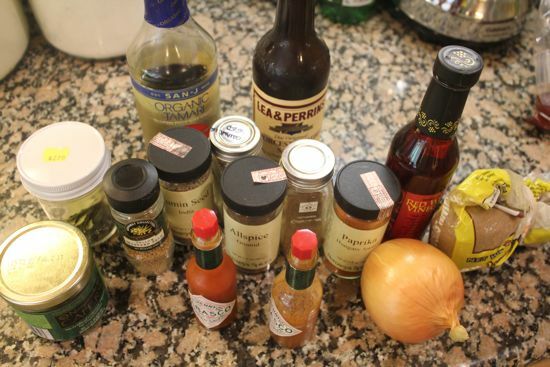 The recipe calls for hot sauce. Ian, in a tweet, said to use whatever was in the refrigerator. I pondered – Sriracha or Tabasco? I used Tabasco, and love the heat, but if I were cooking for kids, might use only 1/8 c., or omit it entirely, to make the ketchup more friendly. Because I didn’t want any tomato seeds or skin in the end product, I started with a tomato sauce. Chop the tomatoes into a medium dice, crush them with a potato masher as they go into a large stockpot. Bring to a boil, reduce to a simmer, cover and cook for 20-25 minutes. Run the tomatoes through a fine disc food mill to remove the skins and seeds, return to the pot, add all the other ingredients, stir and bring to a boil. Reduce the heat and get the ketchup simmering at a very slow rate. Do not cover. Stir from time to time until it gets quite thick, then stir constantly to avoid burning and sticking, until the consistency is right. It’s a lazy day project and well worth the end result. I immediately roasted yukon gold fingerling potatoes. This ketchup deserved a perfect accompaniment. Love your photos of your beautifully arranged jars of colorful goodness made with LOVE! Have you seen on Foodzie the two college guys who have formulated their own catsup. Can’t remember the name just now, but a very clever pair of brainiacs. You should check it out. Cathy, I am so inspired to make some! You are truly a rock star! Glorious ketchup! And your larder looks amazing! What a larder it is. I love those photos. Never heard of this Ian but I will keep an eye out. I miss gourmet too! I made ketchup this summer for the first time, but it’s still in the freezer. Argh! OMG, I read this recipe and then couldn’t remember where I saw it. I really wanted to make this recipe. Thank you for leading me back to it. I am so happy and love your take on it. Love the photo of your pantry!!! What a fabulous recipe too…this one is a keeper. Thanks so much for posting. Peaches are finishing and Pumpkins and Tangerines are coming…so no end in sight for me! I miss Ian’s writings in Gourmet and Gourmet itself. Sigh…. The ketchup looks wonderful. I like the color and the flavor sounds yummy. Once again you’ve inspired me. I have several heaps of tomatoes on the kitchen counter and my tomato plants are happy with the 90F days so I’ll have enough to put away this winter as well. You and I are once again on the same wavelength Cathy. I made tomato ketchup a couple days ago and now I can’t stop finding ways to fit it into each & every meal. As in most preserving, ketchup is lots of fun to make, watching the ingredients evolve is the best part. My neighbors can’t believe people actually “make ketchup” when you can “just buy it” but hey…once they tasted it they wanted to know if I would teach them too! I was up late last night posting the recipe and I had to sneak a little taste on a spoon because just typing out the ingredients was making my mouth water. Not quite as much fun to eat on a spoon as it is on a roasted Russet potato wedge, but it satisfied my craving. 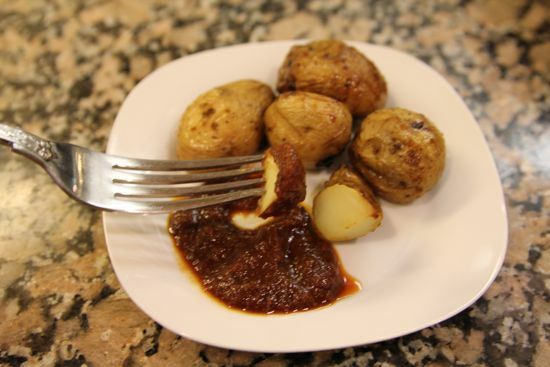 After reading your post I want to go find some Yukon Gold fingerlings to roast…they sound like the perfect partner for homemade ketchup! P.S. Your pantry looks wonderful. So. Cool. Thanks for making it! And I’m so happy you liked it, too. Thank’s for posting the link to the ketchup recipe. I will definitely try it soon as the roma tomatoes are ripening in droves! I miss Gourmet magazine, too. Thanks for reminding me about Ian’s column, I had forgotten about it. 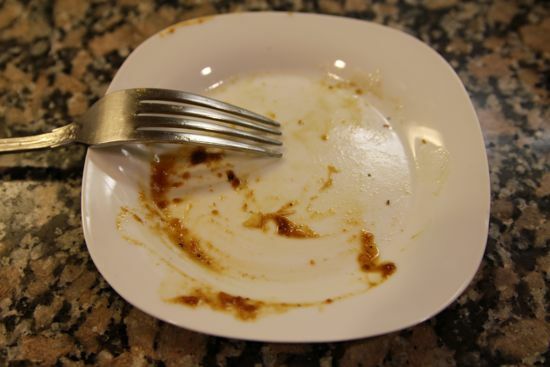 yes, the larder photos are jealous-making, but the dirty plate photo is the winner! when we started developing our bottled products, kicked-up ketchup was an early front runner. thicker, less sweet, spicier and more tomato-y — delish. do you puree yours before or after the addition of capers? I made ketchup for the first time after reading this post – I can’t believe it took me this long! Just in case anyone is interested, I tweaked the recipe a bit, since Worcestershire Sauce isn’t vegetarian (it contains anchovies). It turned out great! Stretching charcuterie skills with rillettes and confit, galantines and roulades.